Launched in 2017, Hypetrain Motors provides reliable, high quality power train choices for FPV Drone Pilots who want to push the limits of what’s possible. 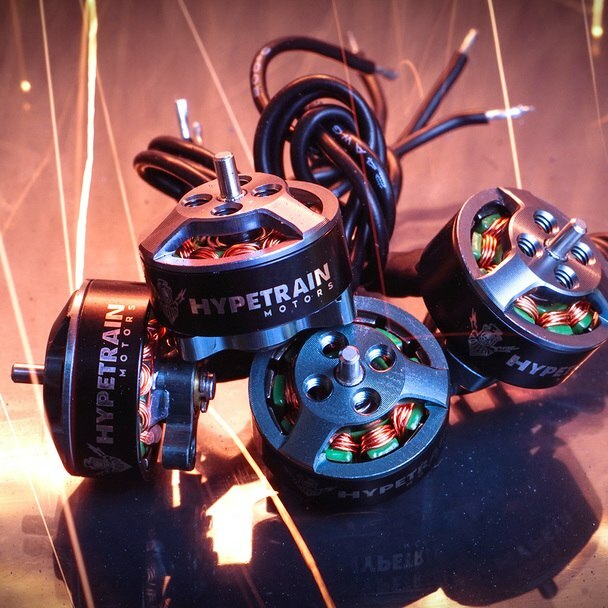 Hypetrain Motors is one of the world’s leading manufacturers of high performance motors for FPV Drones, with a variety of product offerings and a large network of distributors across the globe. We believe drone pilots improve their skills faster when you remove the fear of costly mistakes. The FLY HARD Replacement Program does just that - it gives you more confidence to push the limits of your skills! Each Hypetrain Motor is built to complement a unique flying style, whether you fly hard, fast, flowy, snappy, juicy, smooth, or cinematic. No matter your style, Hypetrain has the right motor for you. To make sure everyone can get access to our quality products, we have partnered with several trusted retail stores across the globe. Made for pilots. by pilots. Which Hypetrain Should I Buy? Hypetrain Motors. Made for pilots, by pilots.